Je Suis Charlie. And So Are You. Because No One Should Ever Die Over A Cartoon. Right? A French couple pauses from eating croissants for a moment to show unity. Tres Bien, my friends. “Allahu Akbar, Allahu Akbar,” they shouted as they left 12 murdered victims in their wake. God is indeed great but it’s always been how humans interpret and “protect” such greatness that has always been less than noble. Name me more crimes and brutality that has been rendered in the service of one’s “God” than any other cause and you will immediately become the first to ever be able to do so. A British newspaper showing unity with their fallen French brethren. Look, no one ever accused Muslim militant extremists of having a sense of humor. But it is equally clear that a number of such folks also can’t take being the target of a joke or two or three, either. Or, more precisely, two such believers, Cherif and Said Kouachi enraged over cartoons (that’s right I said, cartoons) that were irreverent of and poked fun at militant Muslims and the prophet Mohammad at the French weekly satirical newspaper Charlie Hebdo, exacted their “revenge” yesterday. They forcibly entered the Paris offices of this newspaper and murdered 12 of their editorial and sketch staff while the remaining employees fled for cover and begged for mercy from the gunmen. The crime scene was littered with strewn papers, overturned chairs and desks and footprints in blood splattered from the dozen victims of these gunmen who made martyrs of these professional satirists and editorialists. “Allahu Akbar,” (God is Great) they shouted as they escaped into the Paris streets. 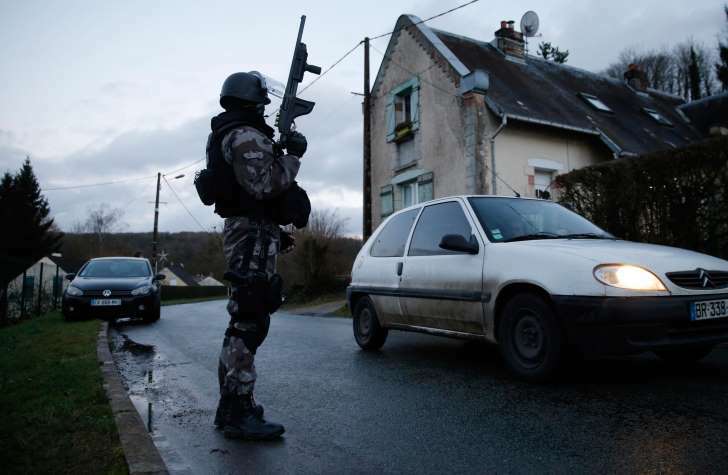 Today, French police and anti-terrorist squads filtered through the Northeast countryside of France in villages like Corcy following up on tips about where these two cowards might be hiding. French police scour villages like Corcy for the fugitive assassins. Throughout Europe, many newspapers and magazines demonstrated their outrage at these brutal slayings, and sympathy and unity with their French journalistic brethren by doing two things. One they chose to re-print many of the cartoons that had poked fun at what the cartoonists at Charlie Hebdo saw as the core hypocrisy of Muslim militants. Preaching of peace on one hand and beheadings in the other. 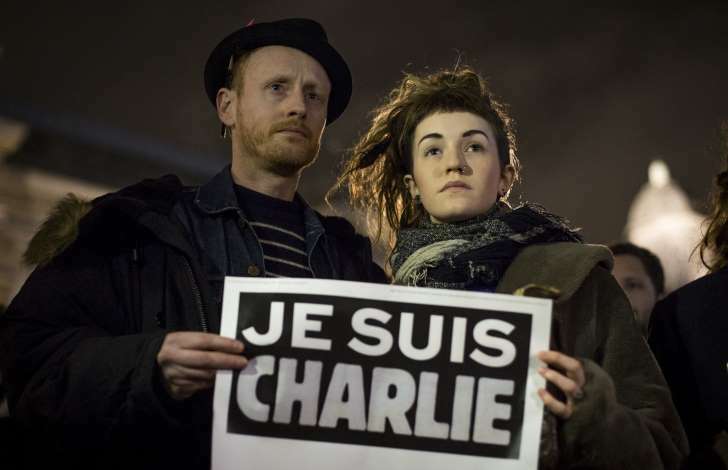 Two, they adopted the unifying phrase “Je Suis Charlie” (I am Charlie). And in reality, it seems anyone who dares poke fun at or mock or even take less than seriously what militants like Cherif and Said do are indeed “Charlie (Hebdo).” A target of their vengeful wrath for engaging in free speech and political and religious satire. This is not, sadly, the first time Muslim extremists have targeted satirical “infidels” for their “mockery.” Not too long ago, Kurt Westergaard was targeted for death for his less than flattering cartoon depictions of Muhammad. In one notorious such publication the Prophet wore a bomb for a turban. Recently, the Swedish artist Lars Vilks also was on an execution list for similar cartoon depictions. In 2004 the Danish filmmaker Theo Van Gogh was murdered by Muslim extremists for his film “Submission” which was highly critical of how Islam treats and maintains women as submissive. 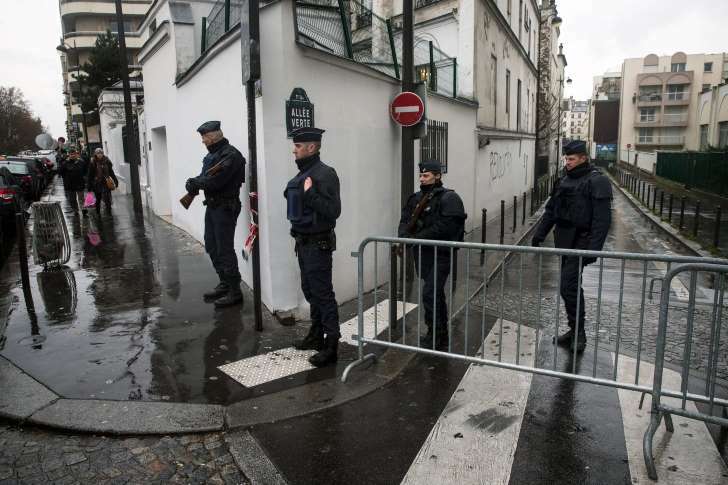 Heightened security in Paris Metro after the killings in the Charlie Hebdo office. Even here in the US as we still unravel the terrorist threats and hacking of Sony Pictures apparently on behalf of North Korean dictator Kim Jong Un lest we forget the movie release of “The Message” in 1977. This was also highly critical of Muslim extremists. To show just how “un-extremist” they were, they took several people associated with the film hostage, two of which ended being murdered in Washington DC. In the end though terror won, the movie release was halted. And our own contemporary and cult classics “Southpark” animated cartoon and satirical newspaper “The Onion” have both been targets of terrorist threats for their satire of Muslims. 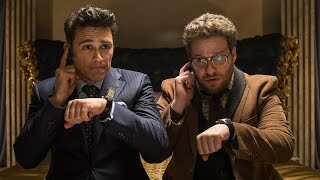 It would have bombed, er, not done well at the box office anyway Mr. N. Korean Dictator. So, what does all of this violence mean, if, anything? Should each of us simply refrain from making, drawing, publishing, reading, sharing or even discussing any comment, cartoon or depiction that in any way could be construed as mocking or poking fun at or somehow being less than reverential to Muslims? Or Christians? Or Jews? Or Buddhists? And, if so, who gets to decide what is or is not appropriately reverential or respectful? Is it cold-blooded murderers like Cherif and Said on a crusade to punish what they see as unforgivable infidels? What happened this past Wednesday in the Paris offices of Charlie Hebdo is tragic. Both for the loss of life as well as the fact that it won’t be the last time such horror occurs. It is also from at least one Western point of view, mine, absolutely unfathomable. How any religion could be so extreme, so intolerant, so utterly devoid of humanity as to lead so many of its followers to become convinced they must murder over satirical cartoons is beyond my comprehension. But then any core belief, whether it be religious or political can become distorted and twisted in the hands of men and women who, I hope, misinterpret the essence of such beliefs and convictions. And then do hideous, barbaric things that again, I hope, no matter the Deity one believes in or the book one reads is not encouraged or rewarded. This won’t be the last time we see such a scene unless people around the world get a sense of humor. Or at least tolerance. I do not pretend to be an expert on Muslim or Islamic beliefs but I do have one wish tonight for peoples of different and conflicting faiths around the world-Could we all take ourselves and our own beliefs just a little less serious? Because it shouldn’t kill you or I to laugh at others or even ourselves once in awhile. God is indeed Great. But we, Humans still have so far to go to even become civil. Je Suis Charlie. Et Tu Mon Ami? Dedicated to the late and great Robin Williams. 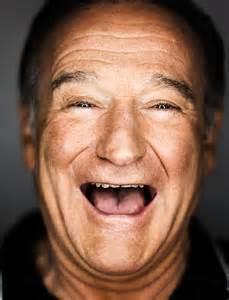 His humor is sorely missed, especially on dark days like Wednesday, January 7th, 2015. Allahu Akbar…what a bunch of garbage. These killers stain the faith for everyone. I hope they catch all of these murderers and bring them to justice, some peace for the families of these French victims. No faith or real religion demands death, bombing of innocents and beheadings. No real religion wants that much suffering of fellow humans. These are just murdering barbarians hiding behind a religion. Terrorists and thugs. Vive la France! I don’t know any religion that teaches its followers to use violence to gain “respect” for it. It is absolutely outrageous to see that people would use terror to over a cartoon, that in no way meant to insult anyone. If we can’t laugh at ourselves then who can we laugh at? No religion or faith seriously wants their followers to resort to killing other people over something so minuscule as a cartoon. That’s the most most messed up thing I have ever heard. I agree, Ivy! Often the mass media tries to portray the extreme acts of a few as the “norm” for the whole, and it’s entirely not fair – whether it is Muslims, Christians, Republicans, Democrats, or farmers. It’s so difficult to sort through what is actually really happening “on the ground” in the face of what the news portrays. That being said, we certainly can’t condone the acts of these militants against those at Charlie Hedbo. Regardless of what the media does or does not portray, violence can’t be the answer. “…Humans still have so far to go to even become civil.” This is such a wonderfully accurate statement. It seems that today people strive to be accepted and/or understood for their differences, yet they struggle to accept and/or understand another individual or group for what makes them different. Although in the recent decade the focus seems to be on Muslim extremists, one should take the time to learn what the Islamic religion is really about and come to understand and recognize that terroristic acts, such as this recent massacre in France, are neither promoted nor accepted by a majority of those of Islamic faith. I agree with Kali, the majority of Muslim believers aren’t terrorists BUT it sure seems that Muslim religion breeds terrorists who are hell bent on destroying western civilization and our culture and our way of life. With so much of Europe under terrorist plots tonight and sleeper cells seemingly everywhere this is war!! A war against extremists. I sure hope we can stop these terrorists. All of this praising Allah or God or Mickey Mouse whatever is a cover. These people are deluded murderers who want the attention and to be accepted by other thugs. Being a Muslim and seeing all these Muslim extremists kill for their religion is insane. It is the 21st century and people still don’t understand that violence is never the answer. Everyone has their right to say and do whatever they want, because everyone has the right to state their own opinions. There is though, a difference in trying to have a good sense of humor and being disrespectful towards a religion that strongly believes portraying pictures or drawings of a Prophet, not just Prophet Muhammad, but any Prophet, is prohibited. May B, with due respect, if you believe that everyone has the “right to say and do whatever they want”, why wouldn’t C. Hebdo staff say and do whatever they want? 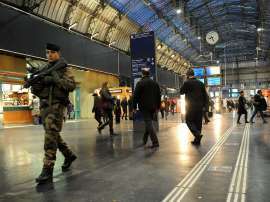 consequently, if portrayal of pictures of any alleged prophet is prohibited in muslim countries, is France a muslim country? If the extremists do not like what french people stand for they should go back to their respective countries and practice what ever it is they belief in. May, that’s the point though, right? C. hebdo staff mocks all religions, including Christianity. The point is they don’t care that some religion “”forbids” mockery, they are saying hey, all religions get over yourself! And, yes, they have that right. Killing others because they don’t believe what you do and so your “rules” or being prohibited don’t apply to them is just murder. I respect that you are Muslim, but that’s YOUR choice. I could care less what your religion forbids or doesn’t forbid. It doesn’t apply to me. And Muslims have no right to kill me because they got upset by a cartoon. I say society should keep mocking their delusional prophet because this is apparently something they care about and murder for. If the whole world mocks them, then who are they going to aim their guns at? They are only a few and there is a whole lot more of us. Tell me what religion has never been mocked and you will find none. This will teach them to take criticism like everyone else. I too was extremely shocked when I heard that it was cartoonists who were killed. I do understand and appreciate the extent of degrading someone else’s religion, or the thought that one’s religion is being put down upon. However, I too wish that religion could be more of a personal thing. It certainly is to me. I don’t wish to put my beliefs onto anyone’s life and I don’t wish them to put theirs upon me. Whether that means taking it less seriously…I’m not sure. But I believe strongly that there should be more respect. Rather than being angry and lashing out that someone doesn’t believe as you do, let’s try to take the time to think why are we different and how and then how can I try to understand that more. Respecting someone does not mean that you believe exactly as they do. Simply that you let live and let be. Cynthia-well put. Respect seems to always be a big part of the peaceful equation. I strongly believe that there needs to be more respect with regards to religion. Respect does not mean that we agree with anyone’s beliefs, but simply that we let be and let live. There needs to be more understanding: why and how are we different and maybe that’s ok. I wish in many facets of live, particularly in this one, there needs to be a great deal more respect for mankind, for our fellow man ,and even for ourselves. We need to think before we shoot or draw. Thinking and approaching life with respect could solve many problems. What does all this say about how religion is super insecure?? Really, your religion is so insecure about its image and its perception that anything from anyone that makes fun of it must die? Nice religion, way to tolerate other viewpoints. I am so sick and tired of people shoving their religious beliefs down others throats. Your religion says you can’t mock your prophet, fine, then YOU don’t. But not my religion so leave me alone. and in peace. I think you make a wonderful point about intolerance. At the core of most religions you will find the first tenet is to reject all other religions. It’s the first commandment. I don’t know why religions can’t coexist, but I have an idea that competition is not good for business. Smarter people than me have tried to explain it. Excellent post. Brandy, yeah, Bravo, I agree totally! I am also sick and tired of so called “religious” people acting intolerant and uptight. Leave me alone. And Ben, good point, religions hate competition and they ARE big business. What I find so terribly sad is that at the root of all religions there is peace. And yet so much destruction and horrible things happen in the name of religions. That makes me very sad. The thing that sometimes makes the French so exasperating also makes them awesome. When they won’t let American planes fly through their airspace because they are on the way to bomb another country we just can’t believe it. But it is what they believe in. And they believe in freedom of the press to the point where they are willing to give their lives for it. Many think that freedom is not worth dying over but these journalists clearly had a different view. And until more people are willing to stand up to the threats and intimidation of Muslim extremists, they will keep killing anyone they perceive as a threat. Who would have thought the French would teach the rest of the world a lesson in bravery. I say Vive la France! Ben, you’re correct that we should unite behind ideals that support those universal liberties. I don’t know how many of us, including journalists believe Freedom isn’t worth our own lives, but I do understand we should respect such idealism. It is true those who served at Charlie Hebdo were truly expressing their own creative expression and should not have suffered such an act of hate. Nor, should anyone fear that their artistic vision shall result in their execution. France alone does not stand as brave, but the world should recognize that their suffering is ours as well. To be frank I believe that France problem with muslim extremists has not even started unless they stop the islamization of France in the name of freedom of religion. Freedom of religion does not exist in Arab countries, so the notion that religious tolerance can best serve a people is delusional because Islam does not tolerate any other religion. Radical extremists of any faith creates a mockery of God when they act out. These overzealous people are brainwashed to a point where they kill innocent people who are exercising their right to free speech. While people need to be sensitive to the beliefs of others, we should never give up the right to free speech, unless it is a direct threat to others (like yelling ‘fire’ in a crowded theater). I have said on previous occasions that we have already seen the beginning of World War III. This time the fight will be over religion and the power some feel they have over others in the name of God. I think we all need to take a chill pill and have a beer or two. In some core Islamic environments beer is prohibited. If someone does not get murdered after the first beer, I will be glad to join for the fourth. “Imagine there’s no countries, it isn’t hard to do, nothing to kill or die for, And no religion too, Imagine all the people, Living life in peace” – John Lennon. What would the world be like without religion? I know that sometimes we might wish religion did not exist and we all just believed in evaluation and the big bang theory. The world would seem to be a better place, but imagine a world without afterlife consequences. How would people act? Would Muslims kill themselves if they knew they would not be rewarded with virgins in the afterlife? What about Christians, the thought of everlasting torment in hell is a strong motivator, how would they act? Religion is something that we live with and we believe in, everyone has to have something to believe in. Believing in something is what gives us the will to live on. From religious gods to scientific breakthroughs. What happened in Paris should have never happened but the actions of two people should not determine the outlook of an entire religion. I believe in respecting the beliefs of others and if they whole world fault the same I believe it would be a better place. It is not simply the act of violence for the sake of religion, nor for political gain that cause such violence. As truly, even the ultimate goal of creating a theocracy is not achieved simply by the acts of violence themselves, however it does bring publicity and notoriety to organizations that seek to achieve such an end. “Allahu Akbar,” is not simply a statement that Allah is great, it states that Allah is “the greatest.” In this viewpoint, extremism has shown that it is not just that they advocate that God is great and any artistic depiction of the prophet Muhammad or of God are to be punished. It is the consciousness of terrorism or of hate, for the values of organized guerilla factions that wage asymmetrical war in the name of religion do so with the facade of God and of true faith. Many may oppose the portrayal of their beloved religion or of those holy figures in such a satirical intent or in such a cartoonish manner. Indeed, it has been prevalent from organizations and religious groups in our own country many times but this does not excuse the greater right to freedom of expression. With the power of free speech, may be accompanied by the freedom to incite displeasure from all of those who see fault in allowing such a portrayal. Violence is not the remedy for these situations, and merciless killing is not warranted by simple satire. It is the aim of these cells to bring attention to the struggle and in turn gain a foothold in the world, if even piece by piece. It is our responsibility as a just society to accept there is such hatred in the world, but we may attempt to overcome such cowardly expressions and work toward a greater end. You are right when you say that these extremists want to “bring attention to their struggle”. That seems to be popular rhetoric among extremists of all stripes. One has to wonder why they seem to favor the “terror and violence” model instead of the civil disobedience model favored by King, Ghandi, and others who brought about real change in in violent times. It seems like extremists are always trying to “bring attention to their struggle”. Why do they seem to favor terror and violence instead of civil disobedience? I think it’s because they don’t care if we understand, they only care if we obey. Sorry about that double post, I didn’t think the first one went through. For the extremists to have entered someones place of work yelling god is great and then slaughtering them is a complete disregard to their own beliefs. From my understanding the Qur’an is just like any other bible translated into their language. Therefore they were trying to say that the god they all worship is great full to them for murdering their own kin. I may not be a religious person, but i know that one reason religion does exist is for stability in someones life. We see this whenever someone is injured and all those who are close to them turn to prayer to help. If everyone who had a cartoon make fun of them went out and started to attack those who made fun of them the entire world would be in complete turmoil constantly. Shows like South Park thrive off of making fun of figures that are well known throughout society, so why would these few extremists be any different. Getting offended over something so small as a cartoon just shows how narrow minded some people today are. Kate H, respectfully, I do not believe that Qur’an is a translated bible considering the fact that it has connotation for islamization or the killing of non believers, and also it still reflect, to say, old testament in the christian bible where killings were believed to be ordained by God. It lacks new testament that speaks of forgiveness in relation to past injustices. I also do not think that religion exist for stabilization of ones life, it exist to apply control and incite hate. personally, I do think that all religions are man-made, made by haters and should be discarded. O.O., it saddens me to see that you are so hateful and dismissive of all religion…please don’t put all believers in to a basket of haters…I agree that the Qu’ran seems to incite intolerance and vengeance against all non-believers but all Muslims are not extremists…religion can be a force for good not evil. Miranda, if you reside in Nigeria for example you will see that all extremists are Muslims. Secondly, if you believe that religion is a force for good then, people should not blame the extremists for intolerance and vengeance because it might be the way they understand a religious force for good. O.O when i say that religion gives stabilization in ones life i am saying that it gives them something to turn to whenever they are put on hard times. Religion gives people faith when all hope seems to be lost. It helps them out when they see a loved one suffering because of some unforeseen fate. Now when i say that the bible is a translation i do not mean that it is an exact replica i mean that it has similar values in the way that all religions do. They have one deity that they praise above all and do not put anything before it. I am new to blogging and don’t quite know the etiquette of the process. So, first let me say that this was an interesting read. It is very thought provoking. That’s not to say that I didn’t have thoughts before about the terrorist behavior of this militant. But it seems of absurd to me that people or a group will take to heart or death the free opinions and it the choice to express that to such an extreme. Right now I am just angry and not clear on why beyond the fact of the loss of lives. I do agree that on many level this is hypocrisy at its worst. All that they do and say is an exercise of free speech and they seem to have no problem of putting their belief about everyone else and that to me seems to be a mockery of everyone belief be it religious or not. Yet the world is not running out to kill behind it. I admit that history has example of this extreme form of behavior. But it like the extremist has found cults and leaders that are masters at manipulating their minds. The title is, “Je Suis Charlie. And So Are You. Because No One Should Ever Die Over A Cartoon. Right?” I say, “Je Suis Charlie. And So Are You. Because No One Should Ever Die Over Freedom of Individual Thought. Right?”. Death for freedom of thought and expression is never acceptable and neither is intimidation and bullying. They meaning the extremist are wrong on so many levels and don’t have a clue, other than their own. The PC Police are in full force and arresting anyone who dares use the word “Muslim extremist.” Be careful. Consider the fallen to be martyrs, because that’s exactly what they are. People are offended every day by different actions, what makes Charlie Hebdo any different? They didn’t cower like the others. They could’ve easily stopped, but didn’t. God rest their souls. Maybe one day we’ll all have thicker skins. Extremism of any kind is intolerable. However, call it what it is. These were Muslim extremists and that’s that. They could’ve just as easily have been Christian extremists, Jewish extremists, Buddhist extremists, but they weren’t. I have Muslim friends who live in constant fear because of the xenophobia that some exhibit as a result of events like this. However, glossing over the fact that these were, in fact, Muslim extremists only exacerbates the problem. Responses should be concise, quick, and solid. Not drawn out, thinned, and shaky. It’s rather disheartening to see a French comic strip have more backbone than our federal government. The world would definitely be a better place if people did not take things so seriously. However, we live in a world where people take offense or feel slighted at over the littlest things. I have to say that religion is one topic that has always been taken seriously. Like politics, if you criticize someone’s belief, god, or even just poke fun of people can take heinous offense. Perhaps they feel that you are criticizing them for being believers? They may feel judged for their beliefs. As a result, you have those who lash out at others out of a misguided sense of justice that is built on feelings of anger, embarrassment, and pride. I wonder if more people have been killed over religion than any other type of reason? I am a believer but I know and I will admit that religion over the centuries has caused many to be intolerant to other peoples beliefs. It makes me sad that I can not see an end in sight any time soon. I do not see making fun of ones belief a justifiable reason to kill. Is only a senseless group of hooligans that will not use the same measure to act in opposition what they perceive as unfair. I imply that all these radicals should refuse to be controlled by people’s thought written as so called holy nonsense (book). Their cautious approach should reflect a dispersion of a religion that preach “peace on one hand and beheading in the other”. Sometimes I tearfully wonder how people could still lack good sense of judgement to belief and follow concocted thoughts some thousands of years ago. Okay, so I agree that Muslim extremists kill and behead innocent people to draw attention to their struggle…BUT can someone please tell me exactly what is their struggle? Not enough oil money? Not enough believers (2 billion and counting)? The world isn’t exactly the way they want, too much freedom of thought maybe or too many western women having the nerve to think they are equal to men and can show their ankles if they want or more? It seems to me what they want is to reshape the world in their image and take us all back to the 14th century. Being a woman I must also say they scare me, I do not want to be seen as some second class human who’s only good to give birth to males and then spend my life hidden under wraps and ashamed of being a woman. I really love reading your blog posts because I sometimes do not have time to watch or look up the news and you stay pretty on top of it! Thanks for keeping me informed on the current events. Its so easy to get consumed by work and school work sometimes you have to make it a point to check the news or be forever lost. These people are terrorists, plain and simple. It makes sense that people around the world are questioning whether or not we should keep depicting these people in cartoons, it’s because we are scared. And that’s what terrorists do; the strike fear into people in order to intimidate them into submission. So to those of you who say that we should stop making these cartoons and drawings I say this; if we do that we are doing what the terrorists want, and we are showing them that they have instilled fear across the world. it will give them a morale boost, which is the last thing the world wants terrorists to get. I believe the cartoons are important because it exposes these “scary” men’s faults and hypocrisy. While i do believe that the murders of these journalists are tragic and horrible, let’s not forget that the cartoons really help the world get into these terrorists heads. Journalism has been a weapon used by the people for centuries, and i say we keep using that weapon against terror. All Muslims are not bad people in my eyes but it does seem like it is a lot if terrorist who are Muslim. Terrorist jobs are to put fear in people hearts and make you actually live a scared life. They want Americans to fear to live in there own country. I have been to Iraq and Afghanistan and I have witnesses a lot of bad things but I did not think all the people were bad even though people tried to kill me and my friends daily. I do not agree with making fun of people religious but I do believe in freedom of speech. Being a journalist is a really dangerous profession the days due to the threat of Isis and others groups that are kidnapping them. Why is it a small French magazine that has the courage to not hold a double standard and publish a cartoon when large institutions such as the NY Times, WA Post, which may have the resources and gravitas to take a stand, hide behind a new found “sensitivity” they have never had for Judaism or Christianity? A fair question, is the sensitivity born out of enlightenment or cowardice,maybe both? We can deduce that it is born out of primarily cowardice because enlightenment based sensitivity would be universally applied. My feelings are little torn on this issue. On the one hand, I think it a basic concept of civility (particularly within a free and diverse society such as ours) to actively strive not to offend another’s religious beliefs as long as such avoidance does not offend one’s own. For this reason, while I agree with the right of Charlie Hebdo and Pamela Geller’s organization to engage in the type of satire that they have chosen to engage in, I find the subject matter of their satire offensive from the standpoint that it seeks to widen an already expansive religious divide for no reason other than to claim the ability to do so. Having the right to do something is not always sufficient reason for doing it. In this case, doing it was simply antagonistic. That being said, NOTHING can excuse the behavior of the “enraged” Muslims that determined that an appropriate response was to resort to violence. Rage isn’t an excuse, and a perceived (or even an actual) slight on one’s faith cannot be justification for such a response. Such a response should be immediately condemned by everyone of all faiths. Those who will not condemn such violence should rightly have their own motivations and intentions questioned. There isn’t really much more to say on the topic. Gilbert, I initially thought about it much in the same way you described but have since decided the drawings were not “simply antagonistic” but rather a fair criticism of a religious practice that in no way interfered with that religious practice and so the magazine probably does have clean hands. We have to allow for criticism of religion or we couldn’t debate all the topics it may entail including its treatment of sexism, sexual orientation, child molestation, marriage, adoption, social services and a whole host of overlapping religious/societal issues. In this case rather than in a written essay the criticism was in the form of a drawing and in no way impeded the practice of the religion by its adherents. To me it seems whatever etiquette was breached is so minor as to not be mentionable. Let me first say that to my knowledge no “God” requires believers to murder in his (mankind) name or because some individual or group disrespected his name or image. The word God to me places the deity or philosophy above petty human squabbles, we have much to learn about civility. My study of Islam (which is limited) and my conversations with Muslim friends have pointed to the religion being one of peace, “Allahu Akbar”. I personally try to respect everyone’s religion but like many others I have jokes about religion (prophets, martyrs, etc. ), not out of disrespect of course, yet human interactions with each other and their God can be amusing. Satire that point out hypocrisy or mocks theology (or philosophy) can be disrespectful to religious beliefs and extremists (Muslim in this case) will have the opportunity to exact ravage. The journalists at Charlie Hebdo knew that but obviously felt that freedom of speech outweighed religious extremism. To be clear, I don’t think the people should say everything that become to their mind or that they feeling will insight a discussion (if its intention is to harm) but that does not give extremists a right to murder people because they feel differently about a topic. Wow reading over these post are very distributing. There is a lot that I see wrong with the so called “Muslim Terrorist.” I find it hard to believe that people call them Muslim even because by definition they are not Muslim. There are using religion to justify what they are doing wrong. Just like any other crazy person. Some others may use alcohol as their justification for doing something wrong. Some of these Terrorist are brain washed at an early age that western civilization is out to get them. I find it amazing that the name of Christianity and Islam has been at war for decades for example the Crusades. I find it horrible how media continues to lack on the term Muslims and Islam to these killing machines humans/ non-humans, terrorist. Our fears make us turn to hate against others. Please remember, Terrorist are NOT Muslim believers they are just terrorist using religion to justify what they are doing. 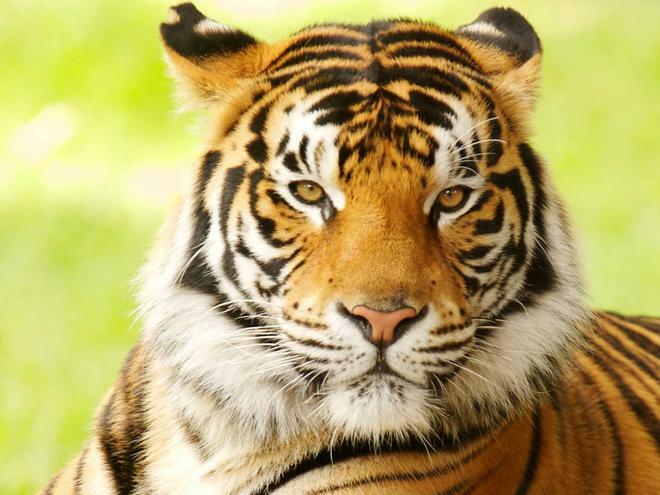 All the killings that have occurred are things that should have never occurred. I pray for the families and love ones. Fransiska, It seems to me that to classify certain groups as anything but Islamic Terrorists would be inaccurate and unhelpful. ISIS-ISIL are in fact Islamic Terrorists. This of course does not make all Muslims terrorists just as the existence of the Irish Republican Army does not make all Catholics terrorists, but to leave out the specifically Islamic motivations of Al Quada or ISIL only makes addressing the problem more difficult for Muslims and non-Muslims alike. As an agnostic since my early twenties, these three quotes pretty well sum up my feelings with regards to religion and religionists of all stripes. annihilated; scotched, if not slain. including our human selves, brain, and body. So did religion. longer take refuge in the arms of a divinized father figure whom he has himself created. new religion that will arise to serve the needs of the coming era. Human evolution en route to our taking to the interstellar lifeboats before our Sun goes supernova does not proceed at the same pace across all cultures. So long as religionists, in the practice of any one of their ubiquitously anthropogenic mythologies, do no harm to individuals per se, and me in particular, and do not constitute a serious impediment to the advancement of science and hence, the adaptive evolution of H.sapiens sapiens, I have no interest whatsoever in what they do as religion inexorably declines to eventual extinction. That being said, the actions of “radical Islamists” (a descriptor I’m not convinced is entirely valid as a subset of all Islamists) clearly DO pose a threat to human civilization and adaptive human societal and scientific evolution. It is clear to me that when the long, Obama nightmare is over, our next conservative, Republican president, having donned the abandoned mantle of leader of the civilized world, is eventually going to be faced with the same kind of existential decision making process that faced Churchill before the bombing of Dresden and Truman before Hiroshima and Nagasaki. and, in the long term, produce the least loss of human life and preserve advanced human civilization, will be a massive, crushing, STRATEGIC strike on all ISIS controlled territories, irrespective of national boundaries, along with a simultaneous, totally destructive strike upon all Iranian nuclear facilities and garrisoned ground, air and naval forces. If necessary, the strike upon the underground nuclear facilities should include the use of high-angle-of-attack penetrator bombs armed with low-yield, tactical nuclear warheads. The ideal weapons for use in the ISIS controlled area would be multiple, low yield, neutron bombs that would eliminate 100% of the enemy yet leave the infrastructure undamaged and the territory re-inhabitable in six months. It is stories that are retold about these extremists that continue to scare the world of all Muslims, and it gives religion a poor name. Whatever happened to respecting people’s views of the world or simply following the golden rule of life? We now have political controversies on whether a Muslim should be President. Media, as well as other outlets, can exaggerate details to make things seem a lot worse. It now does not put us in a great situation because we are just left hating our neighbors and they continue to hate us. Hopefully, this time will pass before too much longer, just as the Cold War and World War II. In light of this weeks horrible terrorist attacks in Paris I wanted to revisit this post. Extremist are not beneficial in any scenario. People need to find a balance in all areas of life and religion is no exception. I have a good friend who is in fact a Muslim, and as a white female growing up in the Bible belt of the South I can honestly tell you that she is the first muslim friend I have ever had. We have developed a deep friendship and even addressed the differences in our religious beliefs. She herself despises ISIS. In a recent post on Facebook she said, ” OK. It needs to be said, so I’ll say it. No, ISIS does not equal Islam. ISIS are terrorists that I wish our government would help eradicate from the face of the globe. However, Muslims need to look within and be willing to ask themselves the hard questions. Yes, people of all religions commit atrocities. However, it’s Islamic terrorists who do so in the name of religion time and time again. Something is wrong. Muslims I know had no problem screaming from the rooftops about that stupid clock that did, in fact, look like a bomb. It’s time to get vocal about something that matters – something that has become a life or death issue. Are your masjids dancing around this issue? Have the extremists bullied the moderates in your community? If one iota of your being makes any excuse for ISIS, suicide bombers, etc., something is wrong. You have been taught a false view of God. Islam means peace. Nothing about terror is peace. Nothing. It is sad that an extremist group has become so powerful and is creating a culture of fear. My heart breaks for those who have become victims to this extreme inhumane group of individuals claiming to practice Islam, but through my friendship with my friend I have realized that this is simply not the case for all Muslims. ISIS has not only provoked fear and anger into those that do not practice Islam, but also into the lives of those Muslims who practice the true teachings of their religion. All religions have violent histories and also violent factions in the present day, including Christianity and Buddhism. See Google: Eric Rudolph, violent Buddhist monks, etc. When taken in historical context, Islam isn’t particularly much more violent than any other religions have been, if at all. I think the fallacy that Islam is a particularly violent religion among others stems somewhat from the fact that it is the religion that has suffered the inconvenience of being prevalent in an area of the world that has not seen as much economic development over the past several centuries as other parts of the world have. This has caused the Middle East to experience less progress in the areas of social justice, universal rights, the rule of secular law, etc. If there is a correlation between Islam and violence, and I’m definitely not claiming that there is, I would say that it’s a false causal link where there’s most likely another intervening variable causing all that violence, e.g. poverty. But make no mistake, Christianity’s history is chock full of xenophobia, violent terrorism against other religions (the Crusades), misogynistic viewpoints and practices, and trying to codify singularly theological principles into law also. Particularly in the United States at the state level. There are plenty of people in the United States who think all sins should be crimes. Many of these theological principles criminalize victimless activities based purely on ideologically puritanical principles not even necessarily universal to the Christian faith, e.g. prohibition in America despite the fact that most “original Christians” (Catholics) in America have no dogmatic issues with alcohol in and of itself. This isn’t a question of which religion as much as culture. Culture should be respected as much as possible with the notable exceptions of gross violations of human rights which are entirely unacceptable, e.g. lack of self-determination of women, genital mutilation, culture of mob rule and stonings, etc. India has had a rough few decades in the international media of recent as well when it comes to its society’s treatment of women and media coverage. But the crux is this: regardless of culture, religion, or anything else, no one should ever die over a cartoon, free expression of an opinion, or even satire, and no one should ever have to keep quiet just to keep the peace with radical factions of any religion, appease the powers that be, or maintain the status quo unless the path of least resistance is just their personal preference. People have the right to speak out without fear of violent reprisal from the most ignorant among us, no matter who we are, where we are, or what God/god we worship or possibly don’t even believe in.